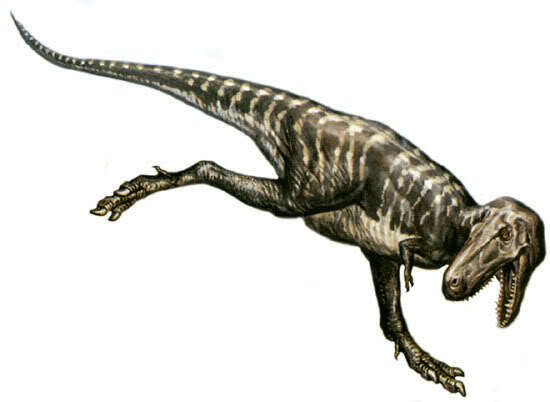 In 2001, a more complete juvenile tyrannosaur (“Jane”, catalogue number BMRP 2002.4.1), belonging to the same species as the original Nanotyrannus specimen, was uncovered. In 2005, a conference on tyrannosaurs focused on the issues of Nanotyrannus validity brought about by the discovery of the Jane specimen, was held at the Burpee Museum of Natural History. Several paleontologists, such as Phil Currie and Donald M. Henderson, saw the discovery of Jane as a confirmation that Nanotyrannus was a juvenile T. rex or closely related species. Peter Larson, on the other hand, continued to support a separate genus for Nanotyrannus. 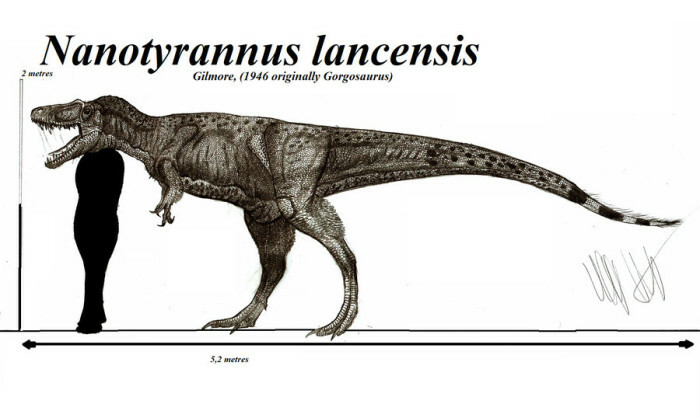 There are some important differences between Nanotyrannus and Tyrannosaurus. The first is in the teeth. Tyrannosaurus had teeth that were thick, and used for bone-crushing. Nanotyrannus had thinner, more blade-like teeth, used for slicing through flesh. Nanotyrannus also had more teeth than a juvenile Tyrannosaurus. The structure of the brain, and the way it was held inside the skull is also different in the two genera. The skulls are also shaped differently. The actual scientific study of Jane, set to be published by Bakker, Larson, and Currie, may help determine whether Nanotyrannus is a valid genus, whether it simply represents a juvenile T. rex, or whether it is a new species of a previously identified genus of tyrannosaur. Bakker has stated he believes Nanotyrannus hunted in packs. Teeth from multiple Nanotyrannus have been found in the bones of herbivorous dinosaurs. In 1988, the specimen was re-described by Robert T. Bakker, Phil Currie, and Michael Williams, then the curator of paleontology at the Cleveland Museum of Natural History, where the original specimen was housed and is currently on display. Initial research indicated that the skull bones were fused, and therefore represented an adult specimen. In light of this, Bakker and colleagues assigned the skull to a new genus, named Nanotyrannus for its apparently small size. 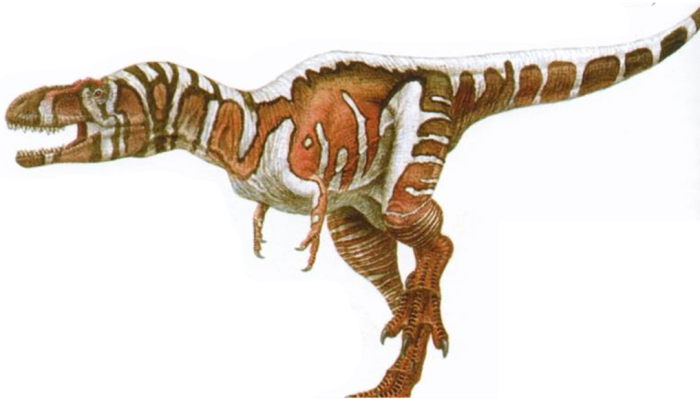 However, subsequent work has cast doubt on this, and some paleontologists no longer consider it a valid genus—since the fossil was a contemporary of Tyrannosaurus rex, many paleontologists now believe it to be a juvenile T. rex, especially since the discovery in 2001 of a new Nanotyrannus specimen, nicknamed “Jane.” The original Nanotyrannus specimen is estimated to have been around 17 feet (5.2 meters) long when it died.